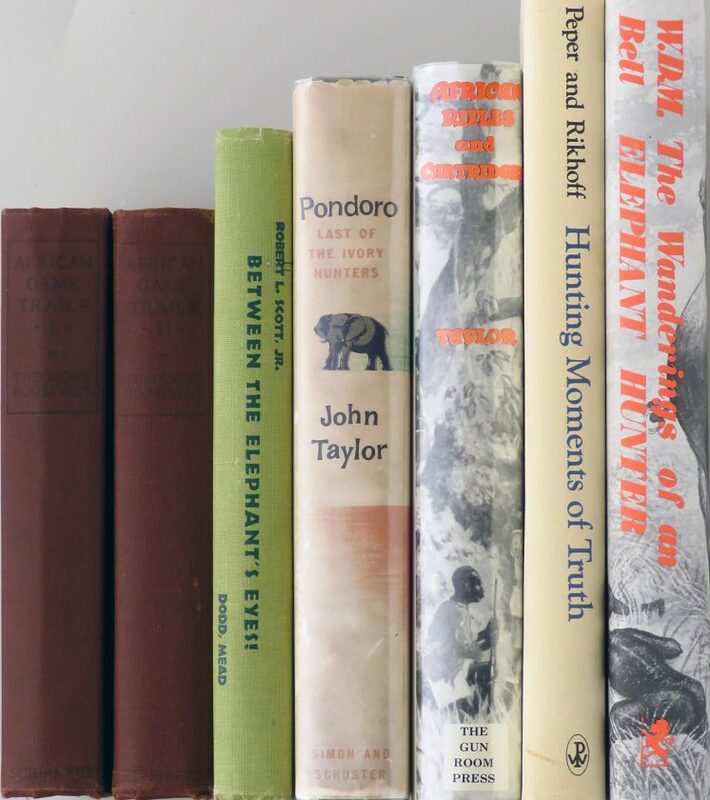 Six elephant hunting titles, Bell, Taylor, Roosevelt - Sportsman's Legacy, Fine firearms, related books and sporting collectibles. Representing estates, collectors and nonprofit conservation organizations. Six titles which primarily focus on elephant hunting. 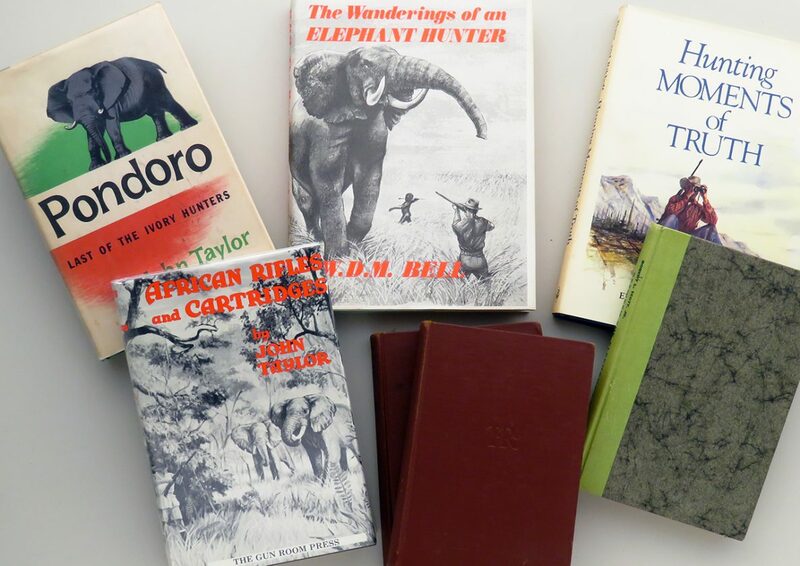 African Game Trails (two volumes) by Roosevelt, 1922 Scribner’s, very good; Between the Elephant’s Eyes by Scott, 1954 Dodd Mead, very good, absent DJ; Pondoro by Taylor, 1955 Simon & Schuster, stated first, very good with pencil price marking and fair DJ; African Rifles & Cartridges by Taylor, 1977 Gun Room Press, excellent; Hunting Moments of Truth by Peper and Rikhoff, 1973 Winchester Press, anthology of tales by Zern, Carmichel, Page, K. Roosevelt, O’Connor, Gates and Wootters, excellent; The Wanderings of an Elephant Hunter by Bell, 1985 Neville Spearman, excellent with good DJ. The price is firm and the group will not be separated. $150 plus shipping.